Shea Butter is often used for the skin; however, it provides a number of benefits to the hair as well. Shea Butter is a natural extract from the nuts of the African Shea tree. While it is often referred to as "nature's best moisturizing secret," it is also listed among the most effective natural hair loss treatments. Soothes and softens dry hair. Massage a generous amount of unrefined Shea Butter to the scalp and on your hair. Wrap with a warm towel or cover with a plastic cap for 30 mins. Remove the cap or towel,then shampoo your hair and style as usual. For best results and for softer & silkier hair, leave it in overnight and shampoo your hair the next day. Apply unrefined shea butter at least twice a week to your hair & once a week to your scalp. This improves hair texture, hair moisture & hair growth. Shea Butter is also great to maintain healthy locks. Try using a little shea butter before & after you blow-dry your hair. Finally, the best shea butter is unrefined, as unrefined shea is rich in proteins, vitamins, and minerals. 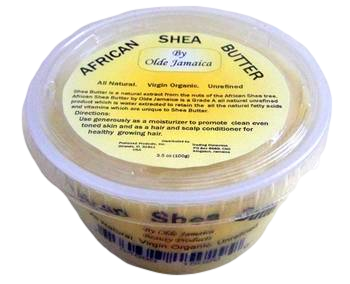 Click here to purchase our Extra Virgin Organic Shea Butter. I love Shea butter! Its a staple for my hair and body. I am a black man and I absolutely love using shea butter. I have been using shea butter for about 3 years now, even when I had short hair. I started growing my hair a year ago, and shea butter has been awesome to use. I bought a shea moisture leave in conditioner. It's fine, but I don't think it is doing anything much different than the raw shea butter that I use as pictured. So I am gonna try the deep condition with raw shea butter only and see how it works.